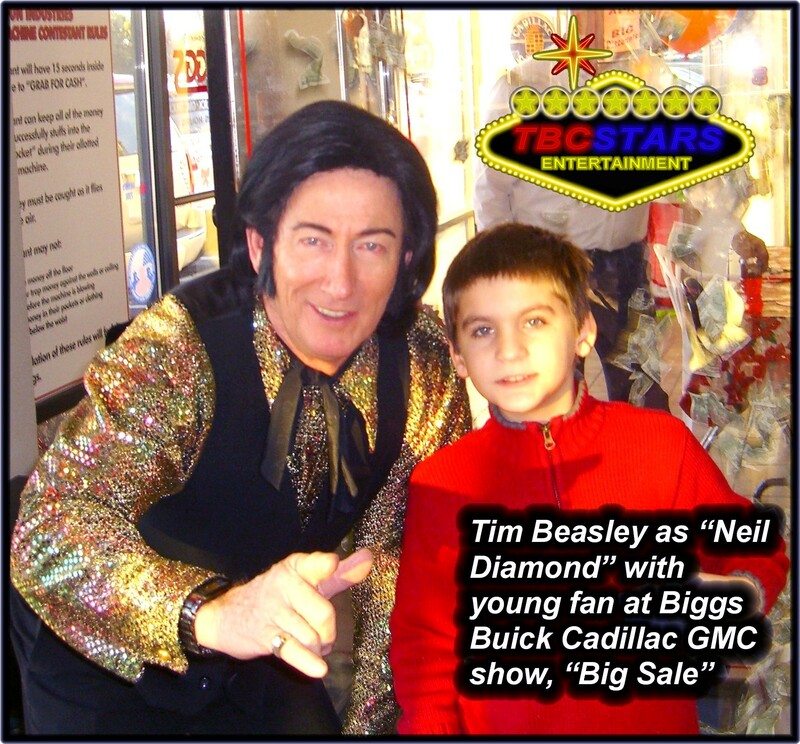 Tim Beasley has performed for over 25 years in many world famous venues as a galaxy of different rock stars in his ‘Rock n Roll Heroes” variety tribute shows. 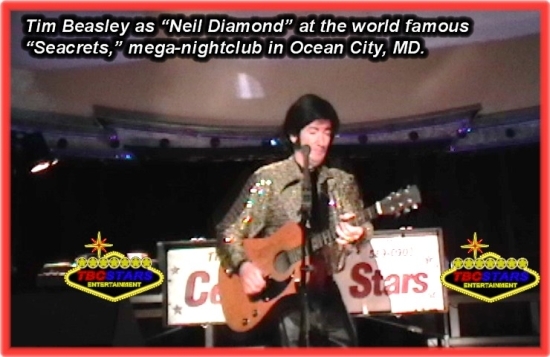 He is pleased to also perform his exciting “Neil Diamond” musical impersonation and look alike tribute to those offerings, as this show appeals to a very wide range of Neil Diamond and classic rock n' roll fans. and more, including a great selection of standards performed "the "Diamond way! 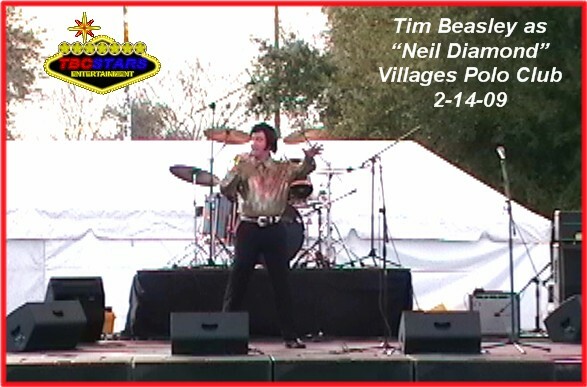 See 3 different live performances videos at this quick and easy YouTube link! 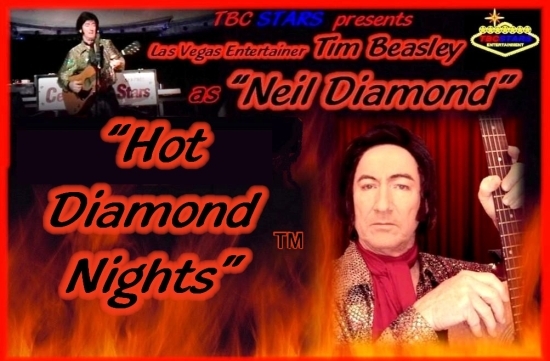 Book Tim now as “Neil Diamond” for a special evening of those great hits, all performed as though it were an actual Neil Diamond intimate concert just for you and your guests! 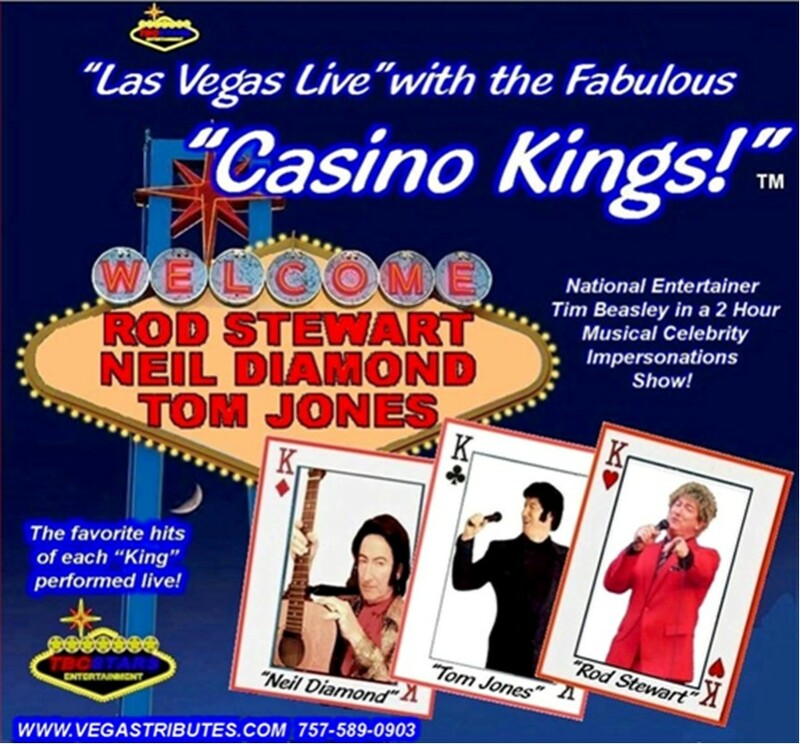 Also consider engaging Tim’s other “Rock n Roll Heroes” to make an entire evening of entertainment from TBC Stars / Vegas Tributes!